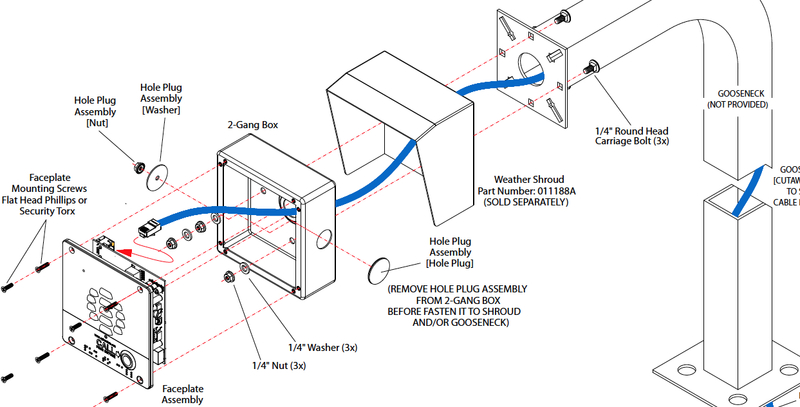 Ultra easy to set up, mega fast to program and no additional parts to buy and install. 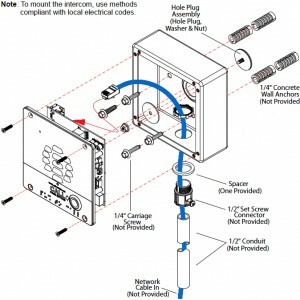 The Outdoor Asterisk door phone, plugs into a POE switch with one single cat5e cable. Once completed, you have now installed the hardware, job done! The on-board relay triggers doors, automated gates and barriers. 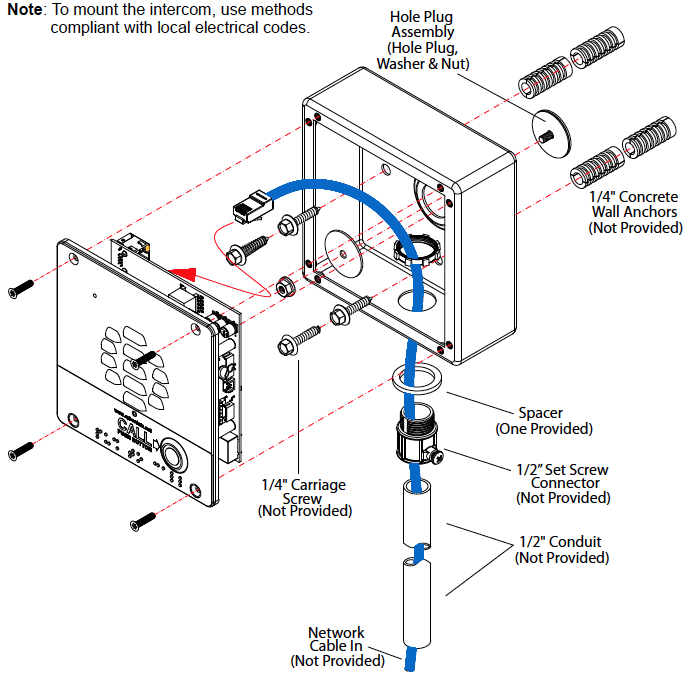 The Asterisk SIP door phone is auto IP addressed. No fiddling around with user manuals. 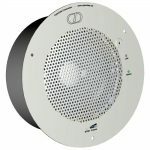 Press a button on the Intercom and it will play its own auto configured IP address over it's speaker. Jot it down, type it into a web-page, Internet explorer of Firefox (for example). 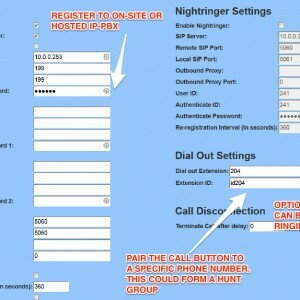 You are now ready to register the VoIP Intercom to the Asterisk on-site or hosted IP-PBX (SIP-Server). IP65, high end product made in the USA. A 12 KEY KEYPAD VERSION IS ALSO AVAILABLE. 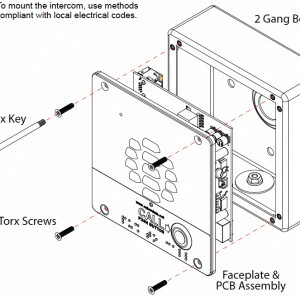 The three main applications for the outdoor Asterisk SIP door phone are as follows. 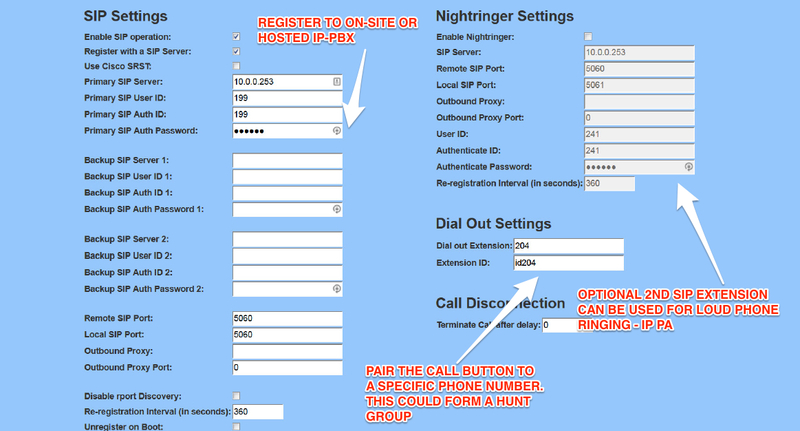 1: New build End User sites with an Asterisk based IP-PBX installed. 2. Same as the former but they are using a hosted VoIP solution. 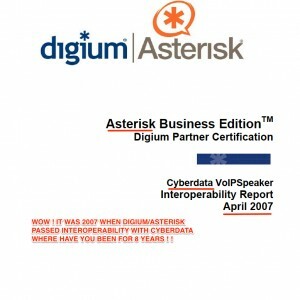 3: Where customers require asterisk door phones when they upgrade from an analogue phone system, to a SIP/VoIP based one. In this instance their analog intercoms may no longer work and they require a SIP door phone asterisk based solution. One with effortless integration and high quality full duplex audio. 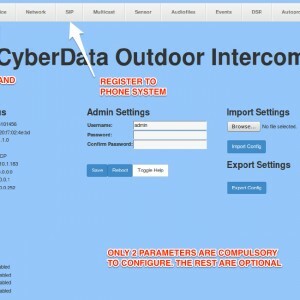 The Asterisk VoIP intercom is made by CyberData corporation (distributed by iEntry Systems). 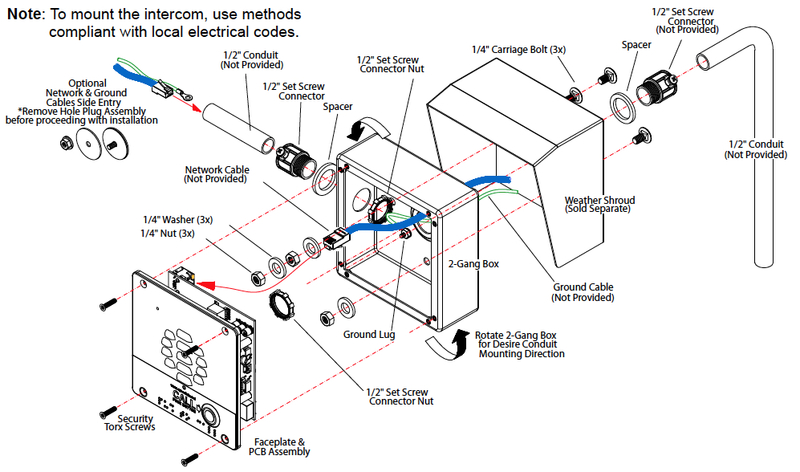 This is a high end product with mass Interoperability testing, verification and certification. 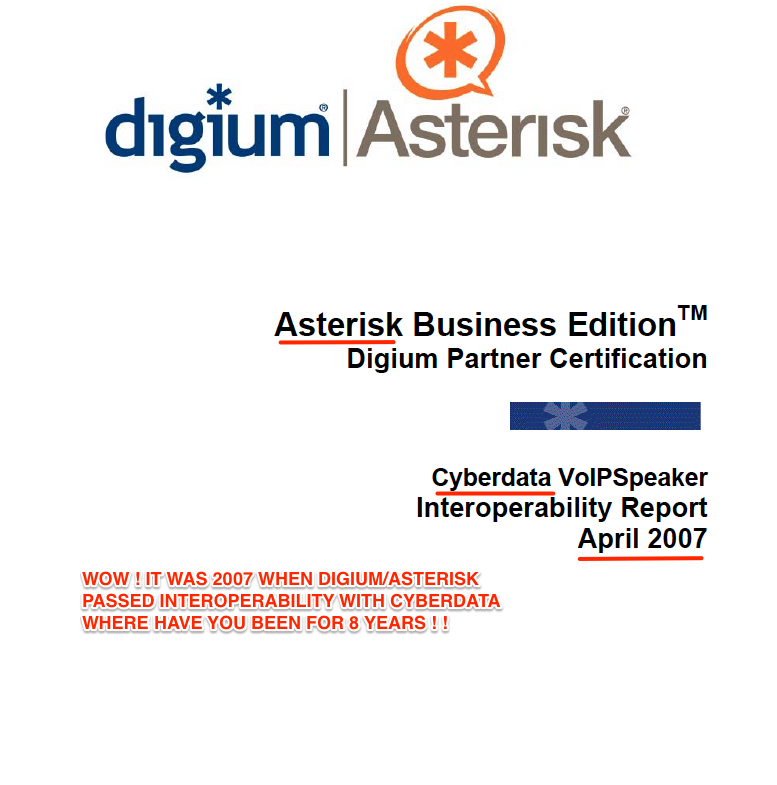 Asterisk is one of 35 IP Telephony Manufacturers who have approved the product. 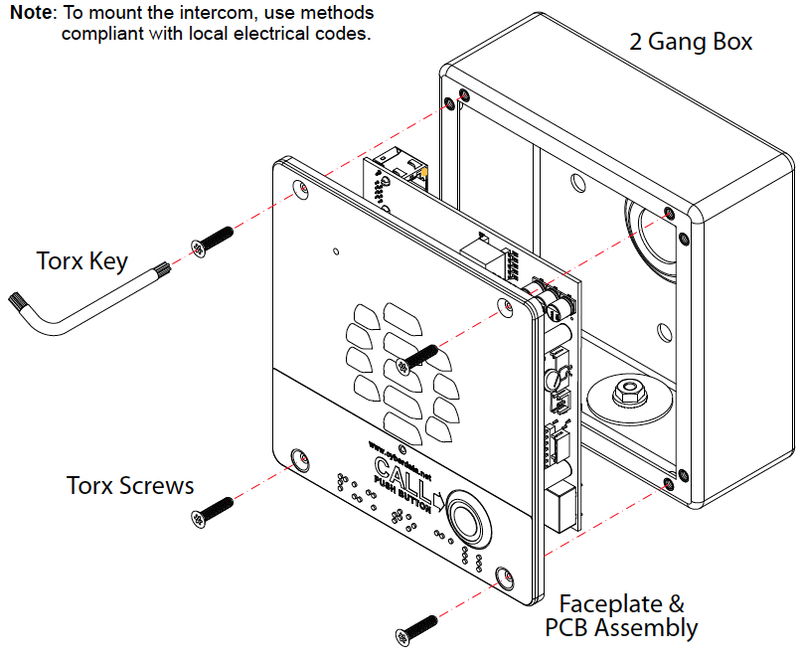 If we look at other high end True SIP door phones and intercoms, they can range up to £1500. 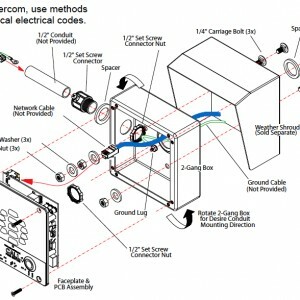 Most require several system parts to complete the system. 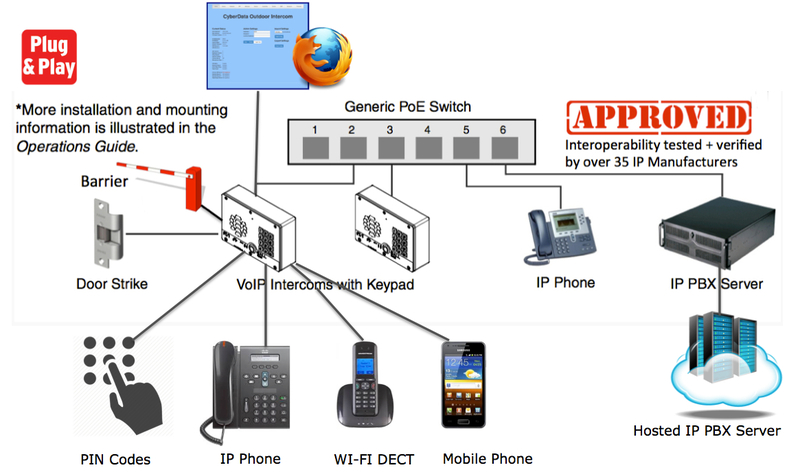 The Asterisk SIP door phone needs a POE switch and nothing else. 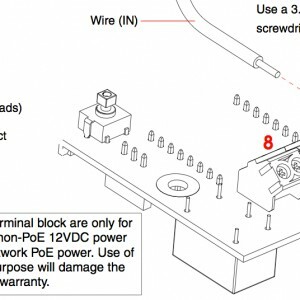 Well, obviously the cat5e or cat6 cable to connect it. 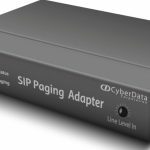 If you need 4 x SIP door phones, you will need a 4 port Netgear/HP switch. Thats it, no running software, no PC required, no tied in handsets. 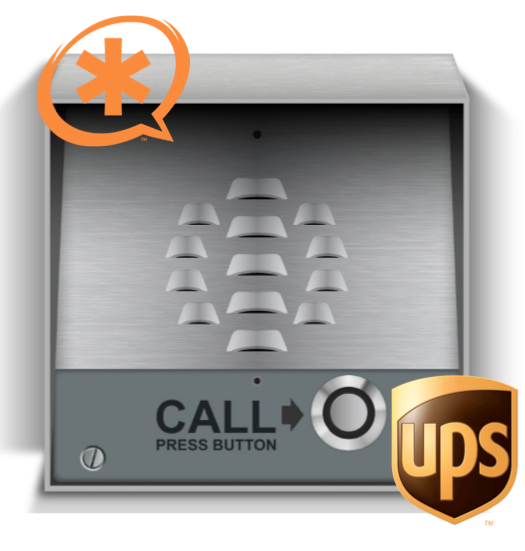 12-key keypad version available – This one you pair the call button to a specific extension, if your phone system allows, you can form a hunt group with the intercoms call. The keypad version is used to dial multiple extension numbers. 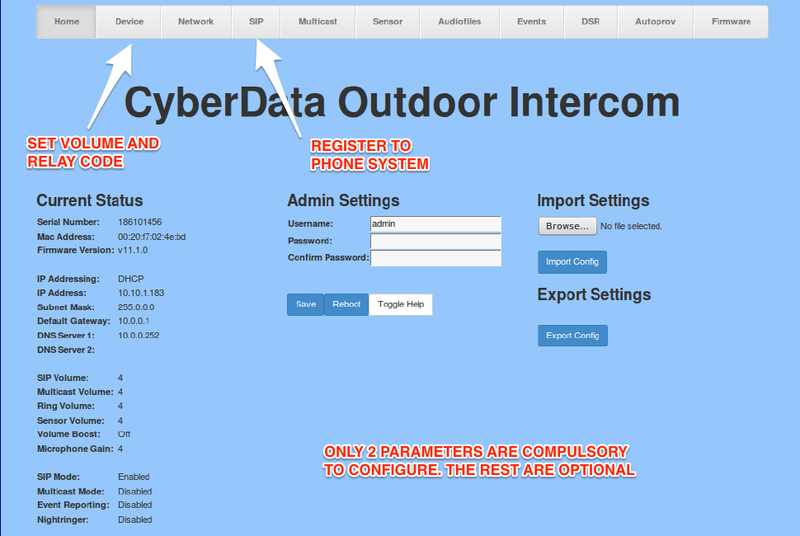 Also can be used for secure coded access. 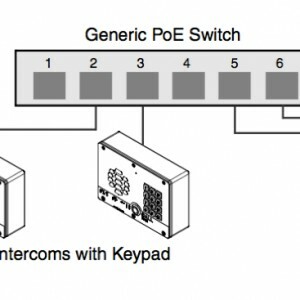 The Asterisk voip intercom features an integrated DTMF controlled relay. Dual Tone Multi Frequency is the signals our telephones send when we press a number. 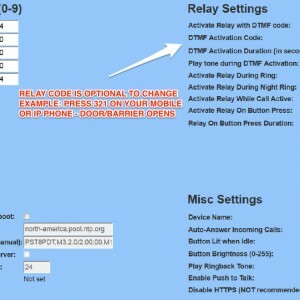 Through its web-page settings you would program a 3 digit DTMF string. For this example, lets use 888. 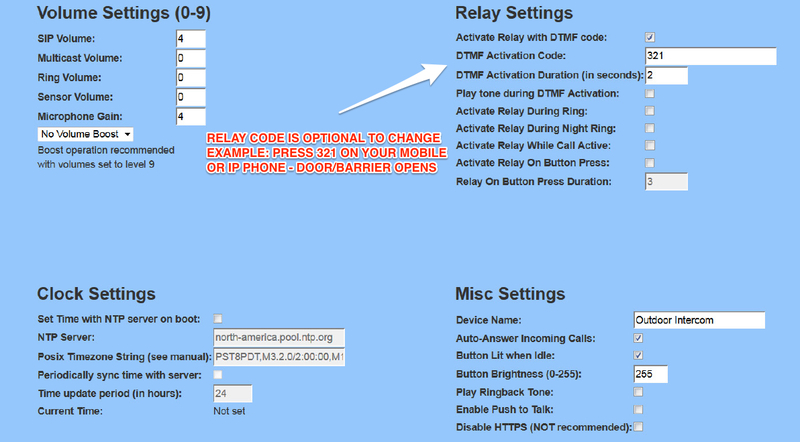 Within the settings you would pair an extension/telephone number to the Push to Talk button field. The door phone would place a call. If the End User wanted to grant access, they would hit 888. This then opens the door gate or barrier.